Over the weekend, we learned the sad news that Terence Ranger, the well-known historian of Zimbabwe, had died at his home in Oxford aged 85. 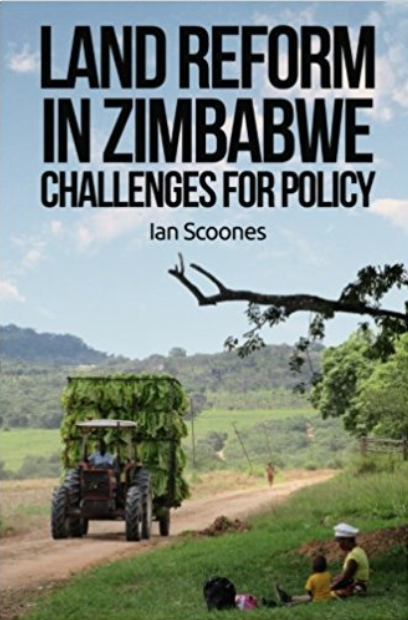 For those of us who have worked in Zimbabwe for many years, his work has always been an inspiration. The first two books I bought on Zimbabwe were in 1985 – indeed they were the first two ever published by James Currey after he left Heinemann and established the new publishing house as the place to publish books on Africa. They were David Lan’s Guns and Rain: Guerillas and Spirit Mediums in Zimbabwe and Terry Ranger’s Peasant Consciousness and Guerrilla War in Zimbabwe. Both of course became classics, but Peasant Consciousness was especially significant for me as it told the story of peasant struggles against colonialism in Makoni district, relating very local histories to the wider story of liberation and guerilla war, and showing how the Zimbabwe experience was so different to Kenya’s. These peasant struggles still had many resonances in Zimbabwe when I arrived to start my PhD work the following year (and indeed do today). Although certainly not an historian, I have always found histories important in understanding contemporary dynamics, and Terry’s writings were always clear and comprehensible for the non-specialist. His scholarship and deep commitment to Zimbabwe will be sorely missed. Born in 1929 and educated at Highgate School in north London, and later with degrees from Oxford, he is perhaps best known internationally as the co-editor, with Eric Hobsbawm, of the 1983 text, The Invention of Tradition. However, most of his career was spent working on the history of Zimbabwe. 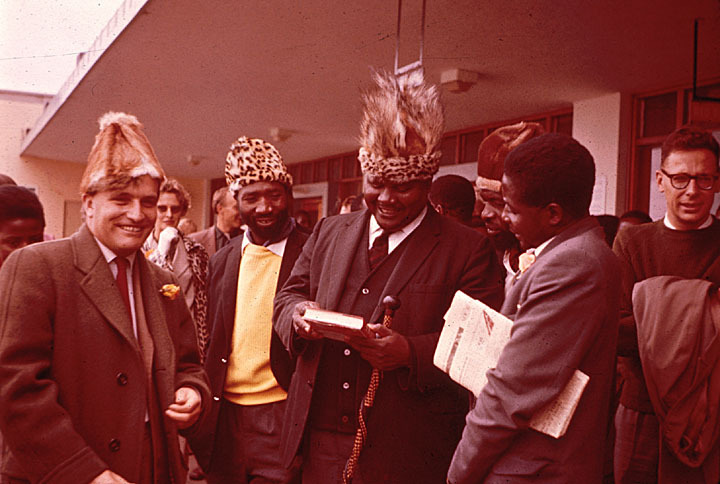 In 1957, following doctoral work at Oxford, Ranger went to Southern Rhodesia, to the University College of the Rhodesias and Nyasaland, to teach Early Modern and Late Mediaeval British and European history. As he describes in Writing Revolt, he arrived no radical, but soon became involved in the nationalist cause, and was an active campaigner against institutionalised racial discrimination. In January 1963, Ranger was deported from Rhodesia. He then went on to the University of Dar es Salaam in newly-independent Tanzania, to establish its History Department. He joined a group of radical scholars, and talk of a ‘Dar es Salaam school’ of African nationalist history. This was defined by a commitment to African agency in its historical analysis and to the production of ‘useable’ history for the newly independent nations of Africa. From Tanzania, he went on Professorships at UCLA (African History, 1969-74), Manchester (Modern History, 1974-87) and Oxford (Rhodes Professor of Race Relations (1987-97). In 1980, Ranger founded the Britain Zimbabwe Society with Guy Clutton-Brock, of which he was president (2006-2014). During 1980-82, he was President of the African Studies Association of the UK (ASAUK). In retirement, Prof Ranger was made a fellow of the Oxford Centre for Mission Studies. On his retirement in 1997, he returned to Zimbabwe to bolster the postgraduate provision in the History Department at the University of Zimbabwe in Harare. In this period he distanced himself from the nationalist regime, especially as the atrocities in Matabeleland were revealed. He also supported Zimbabweans seeking asylum in the UK during the 2000s. He always aligned with the victims of the state – whether Rhodesia, Zimbabwe or the UK. Here is a list of just some of his many books. And beyond these there were many, many more articles, and even more outputs from numerous students of his from different parts of the world, but especially Zimbabwe. Revolt in Southern Rhodesia, 1896-97. London: Heinemann (1967, 2nd ed 1979). 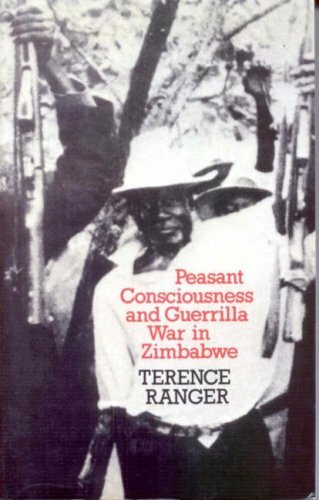 Peasant Consciousness and Guerrilla War in Zimbabwe: A Comparative Study. Oxford: James Currey (1985). Soldiers in Zimbabwe’s Liberation War. Ed., with Ngwabi Bhebe. Oxford: James Currey (1995). Are We Not Also Men? The Samkange Family and African Politics in Zimbabwe, 1920-64. Oxford: James Currey (1995). Society in Zimbabwe’s Liberation War . Ed., with Ngwabi Bhebe. Oxford: James Currey (1996). Voices From The Rocks: Nature, Culture and History in the Matopos Hills of Zimbabwe. Oxford: James Currey (1999). Violence and Memory: One Hundred Years in the ‘Dark Forests’ of Matabeleland. With Jocelyn Alexander and JoAnn McGregor. Oxford: James Currey (2000). Writing Revolt: An Engagement with African Nationalism, 1957-67. James Currey (2013). Indeed, its such a great loss! May his soul rest in peace. I note that he at least recognised the atrocities committed by the Mugabe regime. I wonder if – in his coverage of the history of the country – he, like many black nationalists consider history to have only started in 1890? Did he for example cover the genocide of the San by the migrating Bantu 1000 years BP, or the partial-genocide of the Kalanga by an invading Zulu offshoot tribe? I mention this because these issues are considered taboo in Zimbabwe – but in time – will come to the fore. I read his book on the Shangani. It had a very objective aspect and really let thing speak for themselves with appropriate analysis as a summary.